All BANDERA RANCH homes currently listed for sale in Helotes as of 04/18/2019 are shown below. You can change the search criteria at any time by pressing the 'Change Search' button below. 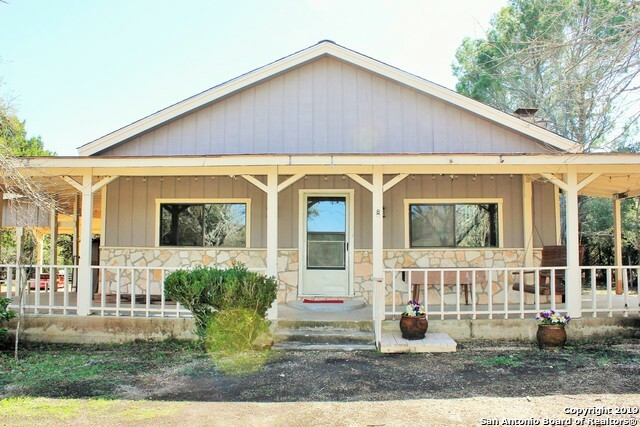 "Gorgeous newly remodeled 3/1.5 home on nearly 4 acres with views of the rolling hills of Helotes! The great room with original fireplace and open ceiling reaching the peak is gorgeous! The new floors are beautiful and with brand new cabinets and counters the kitchen is perfect! All this on 3.95 acres, with no restrictions and a mix of clear level land and wooded areas with beautiful trees. Additional structures include 2 car garage, well shed, covered storage and single room cabin. Come see it t"
"LOCATION LOCATION! Located in central Bandera close to shopping and restaurants, this 1 story brick home with mature shade trees to stay cool in the summer. Walking distance to Medina River, schedule your showing today!"